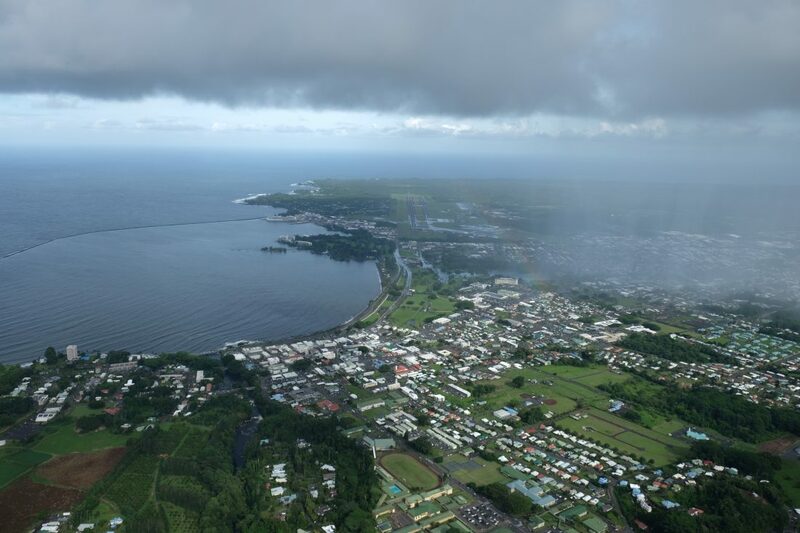 I had been to the Big Island twice before, but I hadn’t really seen it. The last two times I was on the Big Island I had two kids under 4 years old and our youngest wasn’t even born yet! 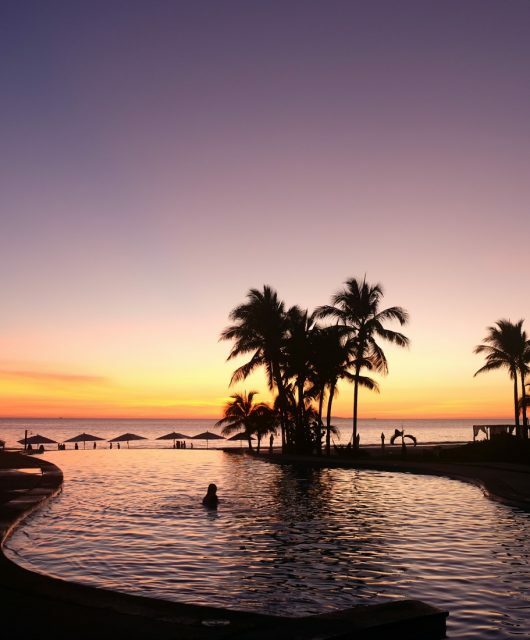 It was certainly a different stage in our traveling adventures where we spent our days at the beach and pool and rarely left the hotel’s property. So when I had the opportunity to tag along with Mike to a conference on the Kohala Coast last week I took it! This time I wanted to leave the hotel and explore the island a bit more so we headed out a few days before the conference started. To me, the most intriguing part of the island is the active volcano, Kilauea, which has been erupting since 1983. 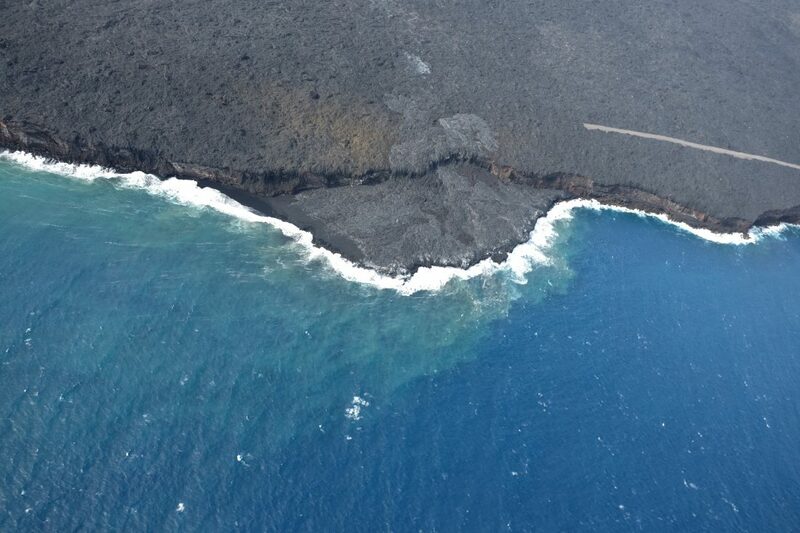 This long-term eruption has caused lava flows over 100 sq km and is adding new coastline to the island. Going to see Kilauea was at the top of my long list of things to do. 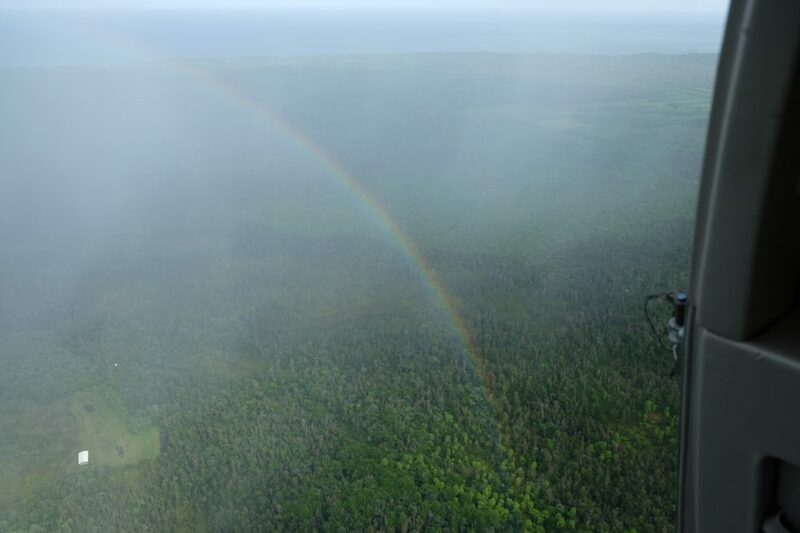 I decided the best way to see it was to book an open door helicopter ride and fly right over it! 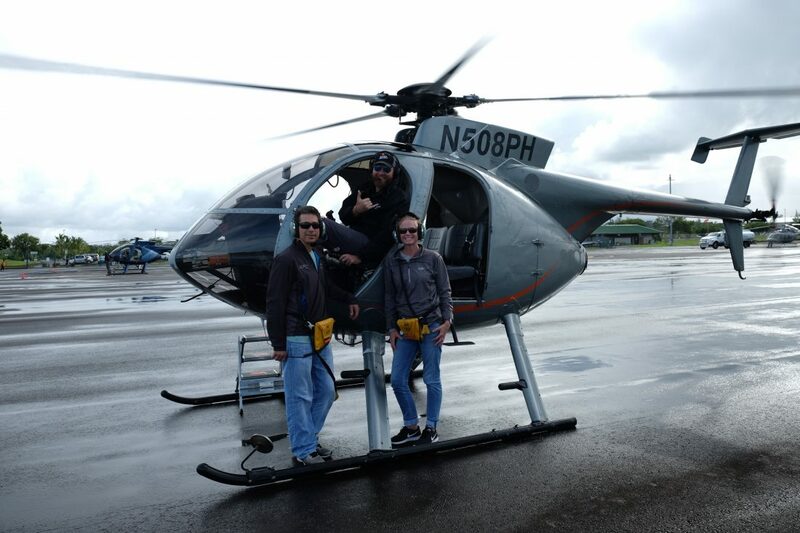 After a decent amount of research, we decided to go with Paradise Copters in Hilo. The Kohala Coast is a 90 minute drive, on the opposite side of the island, from Hilo so it gave us a chance to explore more of the island. 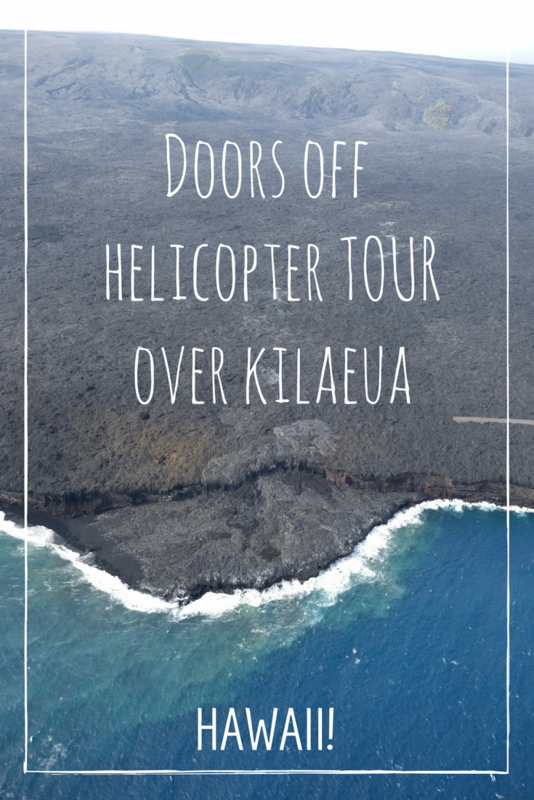 Helicopter tours also leave from Waikoloa and Kona, both of which were closer to us, but Hilo is the only place I found with open door rides over Kilauea. I was seat #3 in the helicopter (directly behind the pilot). The guide is holding up 3 fingers to call me over to board.  I booked our trip about a month in advance. I had wanted to go in the morning thinking the weather might be more favorable, but wasn’t able to get a flight time until 2:30pm. There were lots of showers that day and I was worried they might cancel our trip or we wouldn’t be able to see much (which would be a bummer after driving 90 minutes to get there). They told us this was the first time in a couple of days that they hadn’t had to cancel any trips. 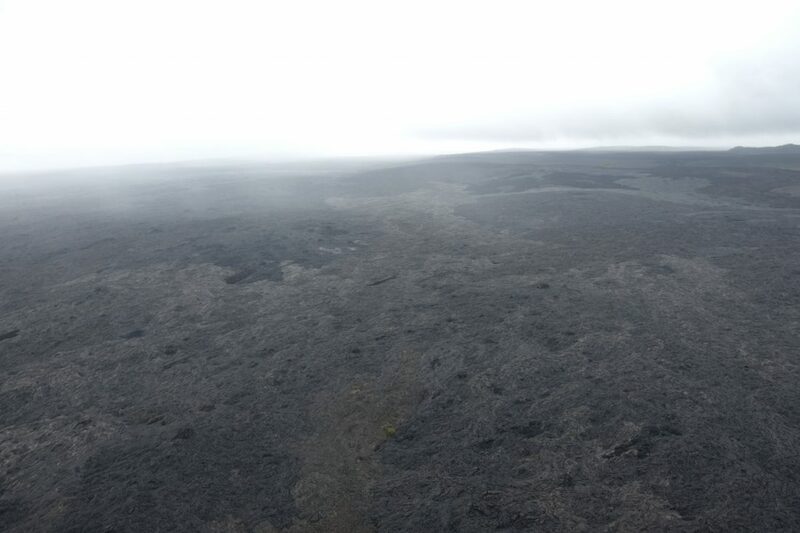 Initially I was disappointed by the cloudy weather, but learned it was actually better for viewing the lava. 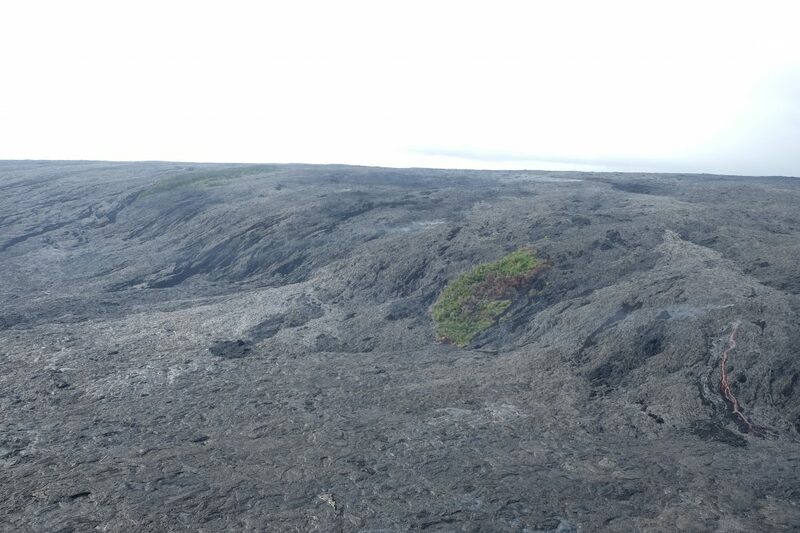 On a very bright day the lava might appear a shiny white or silver, but on a cloudy/overcast day the lava appears more red. 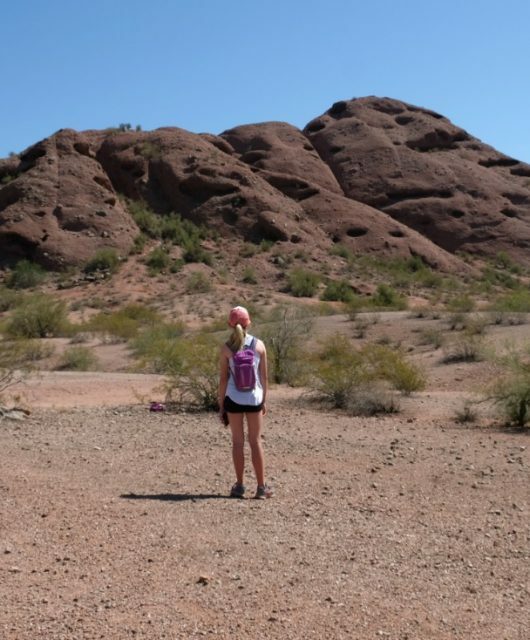 After about 10 minutes we came upon the lava fields. 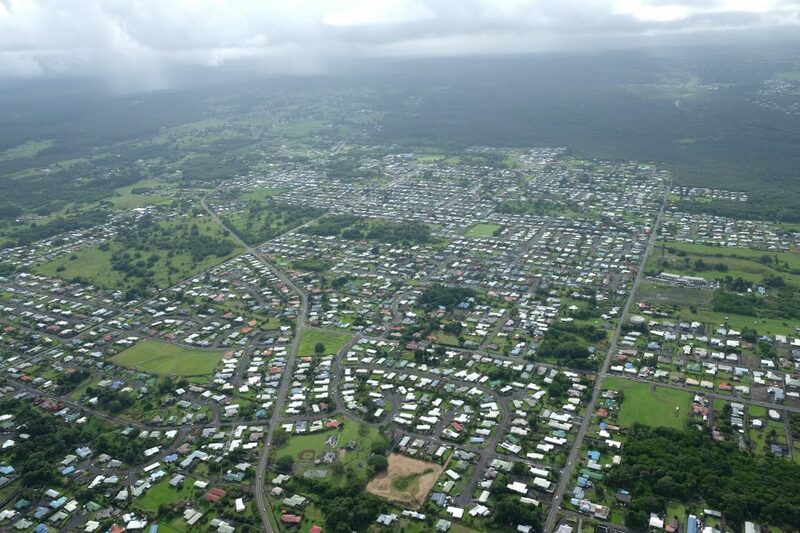 In the distance, you can see whats left of Pahoa, a village that was destroyed by the lava flow in 2014. 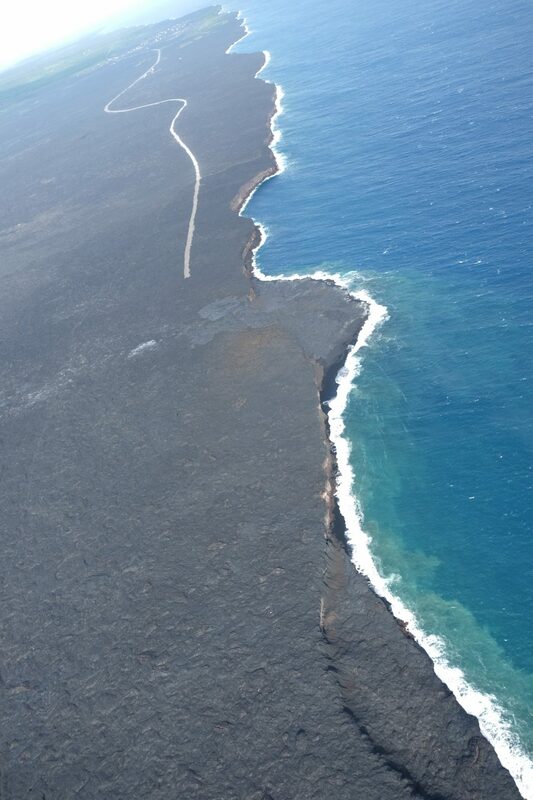 The coastline is constantly changing due to the lava flow. 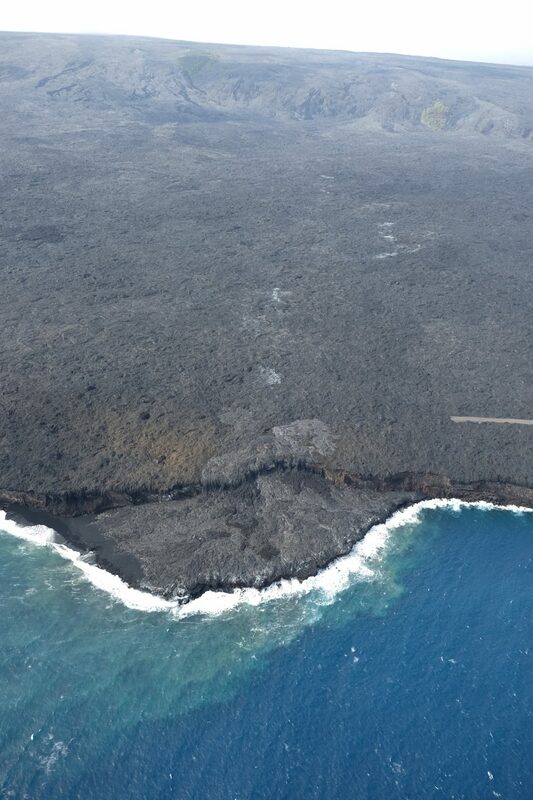 We were hoping to see lava oozing into the ocean, but no such luck. We learned that as it hits the ocean it appears to explode and is quite a show. 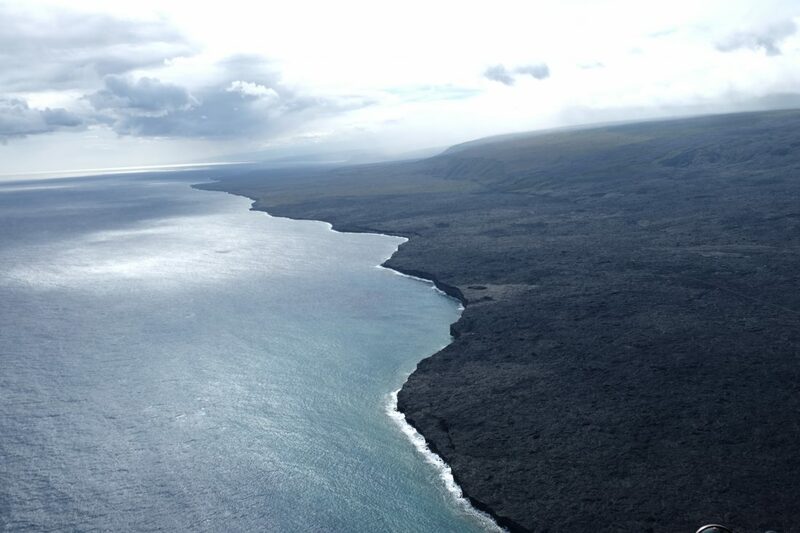 Our pilot told us that the section of sunken lava below is about 28 acres. 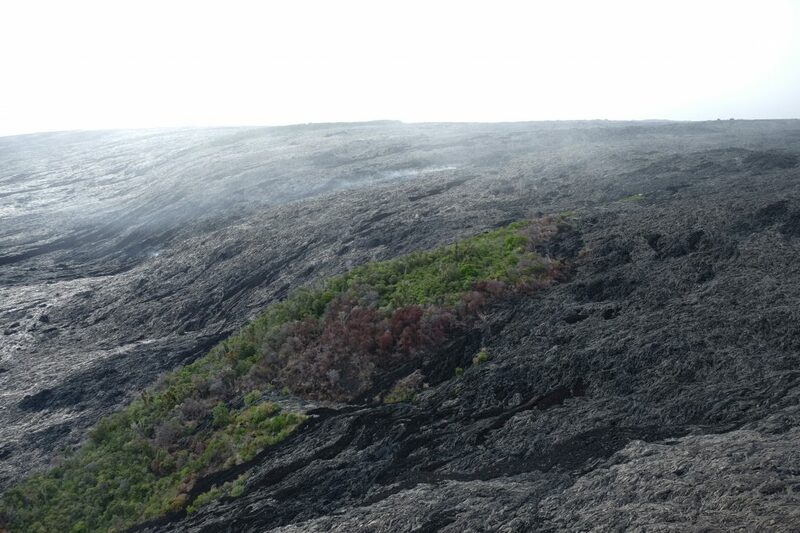 It used to be raised and in line with the rest of the lava and one day just collapsed! Oh how I wanted to pull a Gray Malin and stick my feet out of the door and snap a picture with them dangling about. But we had been given a list of things we couldn’t do and naturally that was on the list. I didn’t want to risk the pilot turning the helicopter around and heading straight back! As we flew back over land we could see steam in the distance escaping from holes in the ground. And just off to the bottom right is a large amount of lava flow! 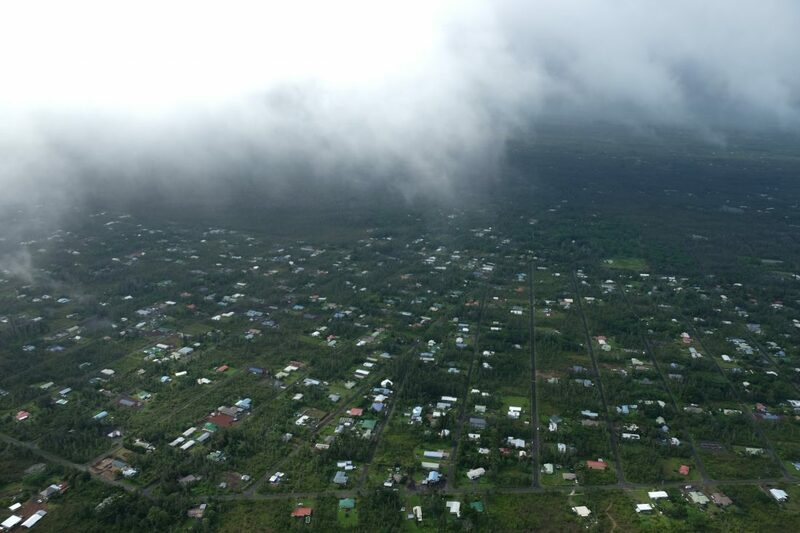 From 500 feet above in the air, we could feel the heat from the 2000 degree F lava below us. To my complete surprise, we saw a person walking around down by the lava! 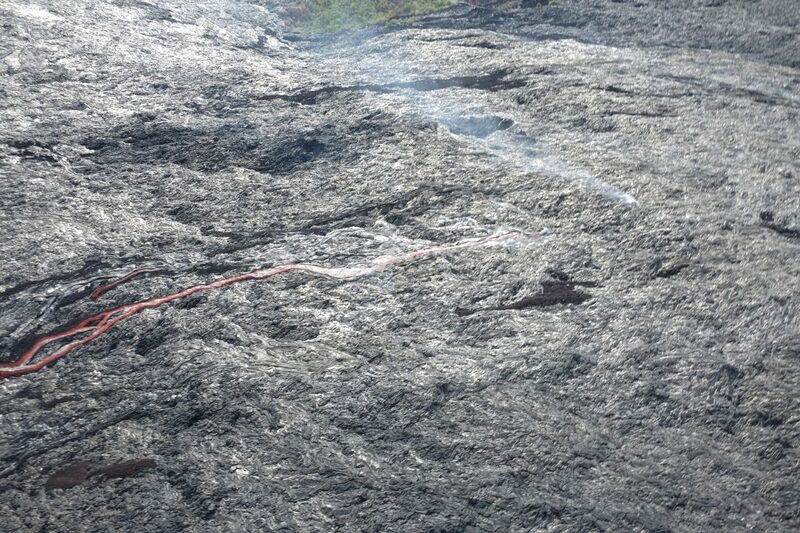 At the tip of the lava (below) there is a white speck which is actually a person. 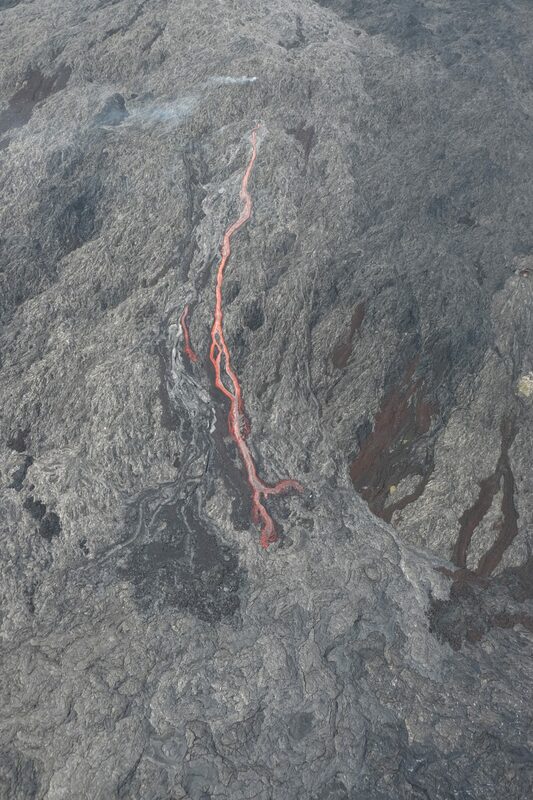 It gives you a sense of how large the lava flow is. 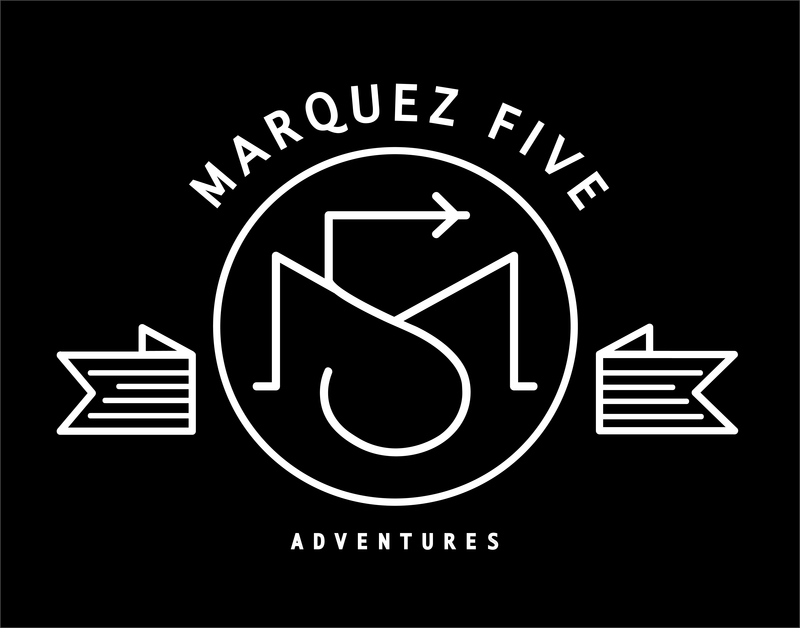 He was wearing protective clothing and carrying a very large camera. 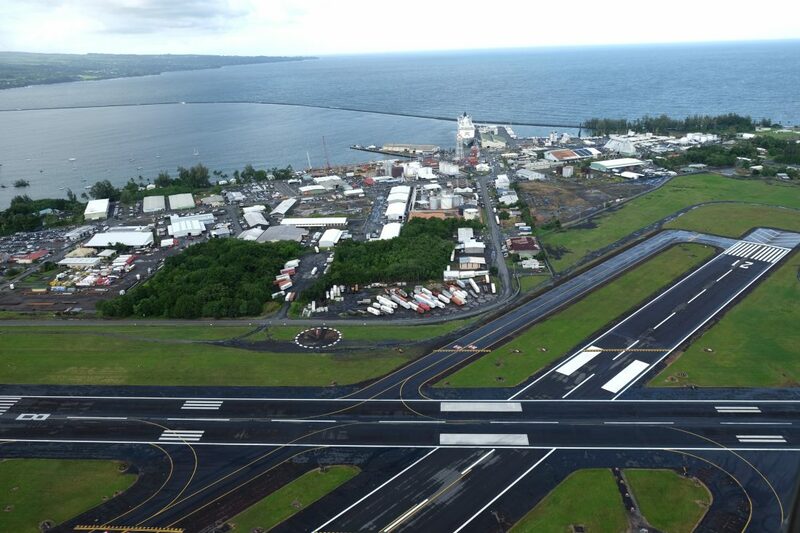 Our pilot said he must have parked at the end of the washed out road and walked out to the lava flow. It must have been a painful walk because if we could feel the heat 500 feet above, I can’t imagine how hot it was standing right next to the lava. It still baffles me that anyone can just walk out there. 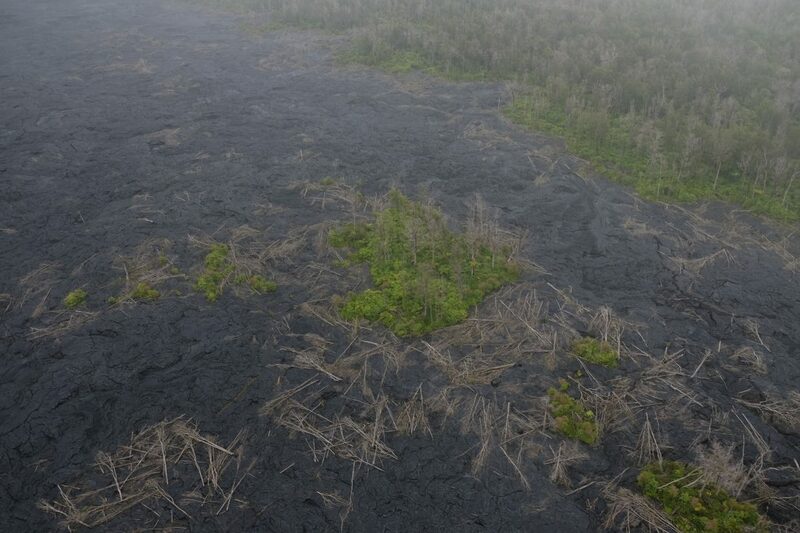 White speck to the far right of the lava flow is a person! The crater was covered in clouds so we weren’t able to fly over that this time. 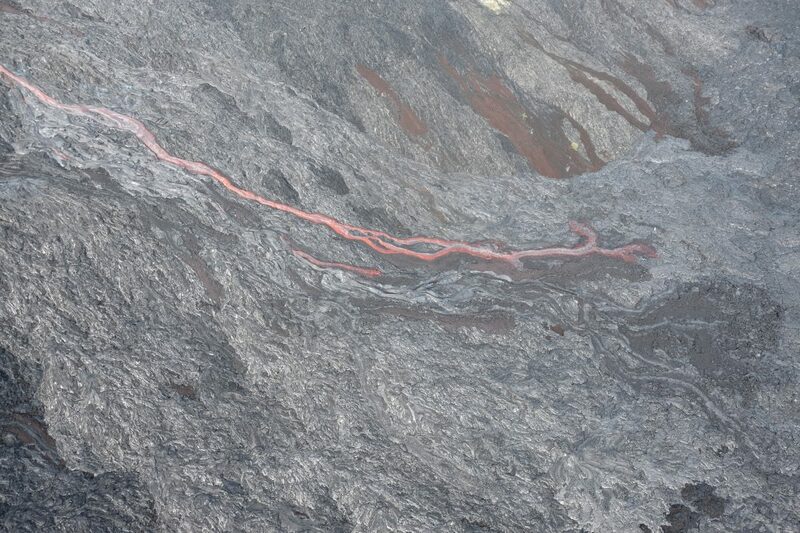 I was thrilled with the lava flow we did see. Our pilot told us this was the best he’d seen in the last two weeks. We could feel the heat from the lava below. 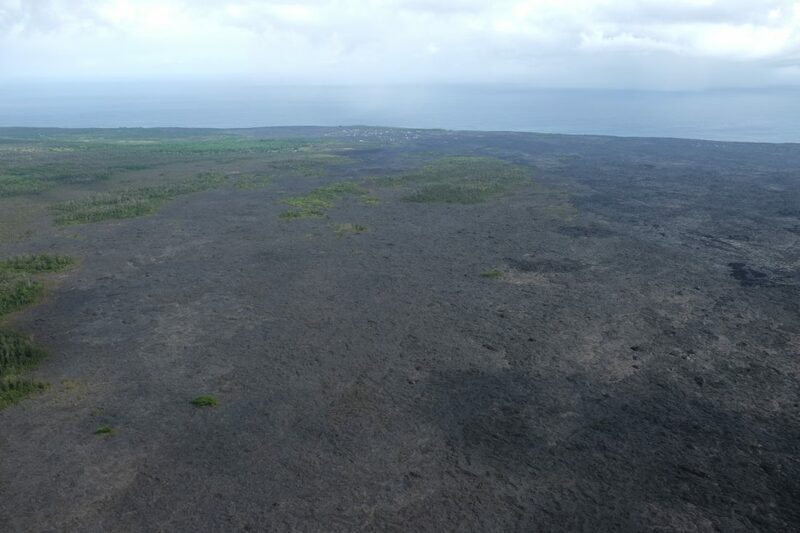 The white speck is still down at the tip of the lava. 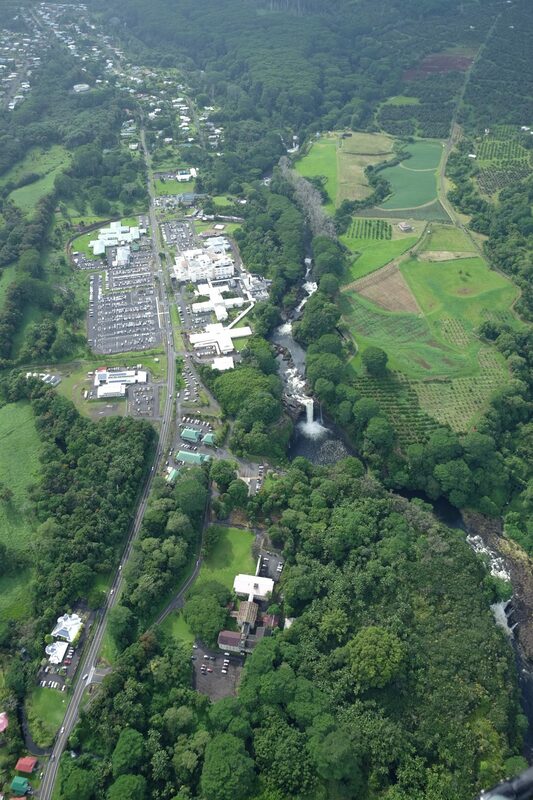 The contrast in landscape between lush and green Hilo to a stark barren lava field was striking. What’s left of where the lava passed through. We passed by and through many rain showers! 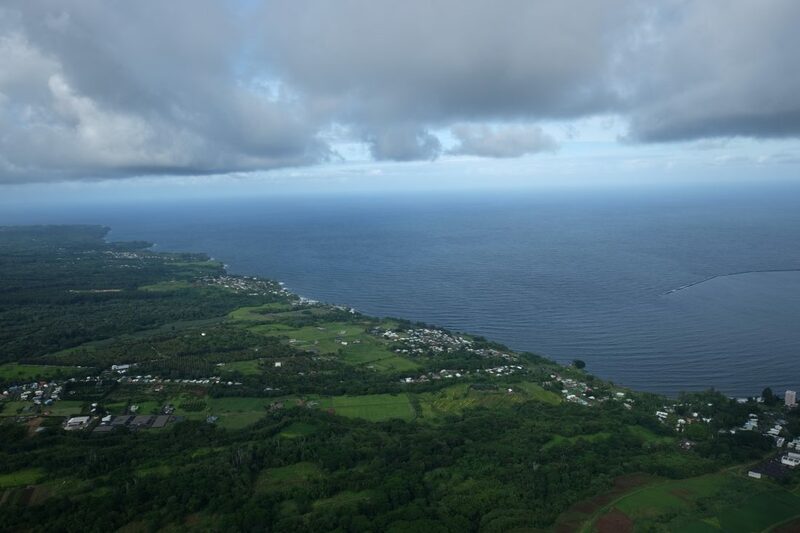 We had to stay 1500 ft above the towns for noise pollution reasons. 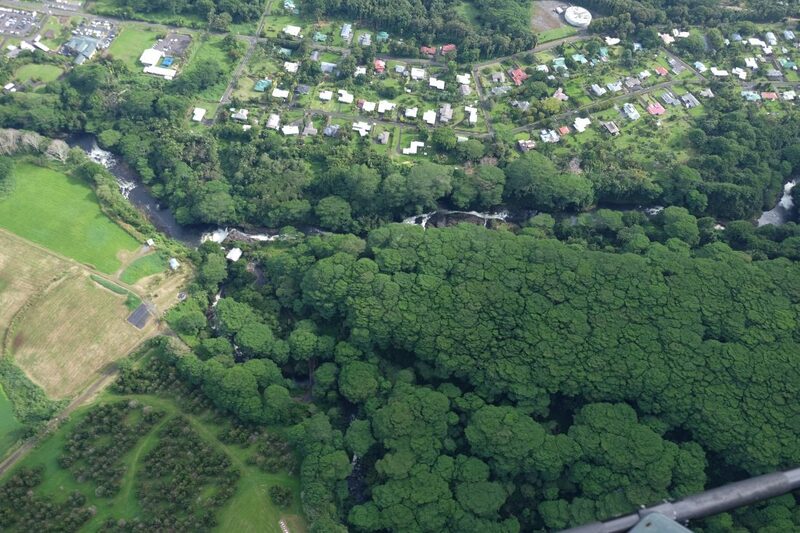 Flying over the plunging Wai‘ānuenue (Rainbow Falls). Crazy that this river and waterfall are right in the middle of the city. I loved the way these trees looked from up above – like flattened stalks of broccoli. 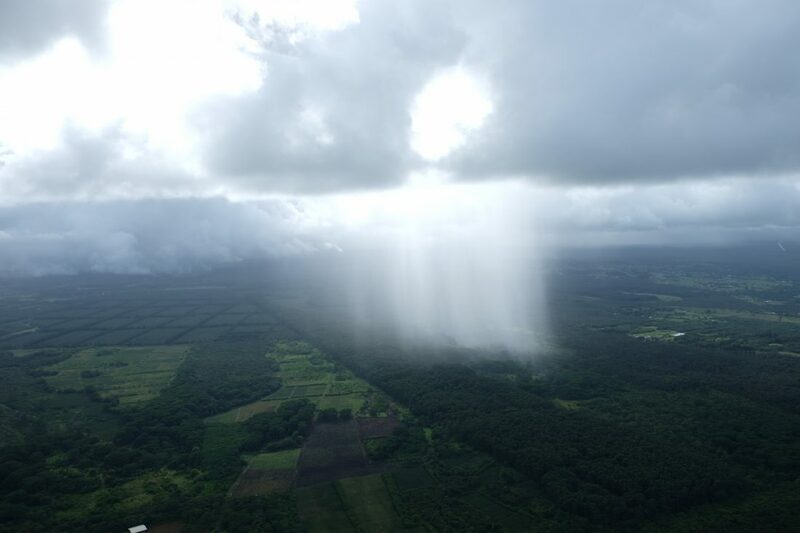 Our pilot told us they are actually very top-heavy and often fall during storms. Flying back towards the airport. It’s cold up there so dress warmly. 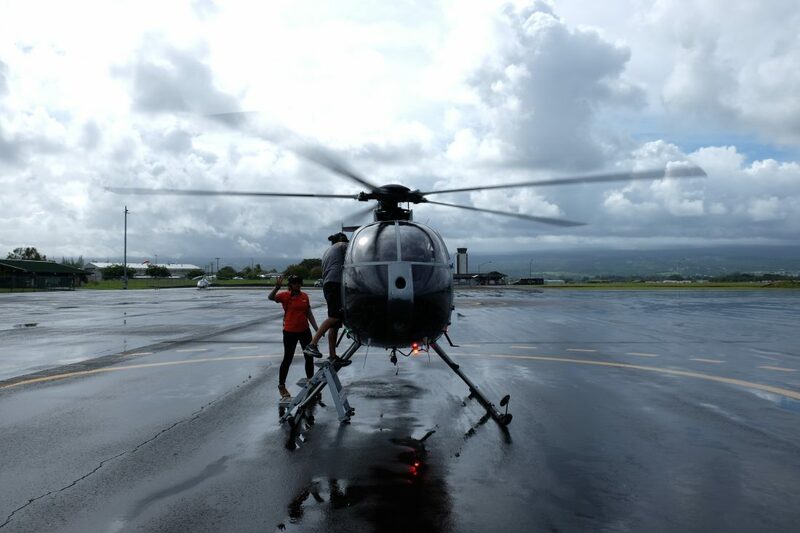 Long pants & closed toe shoes are required in the open door helicopters. Our pilot said the air temperature was 60 degrees, but that didn’t factor in the winds when you’re flying at 120 mph without doors. We also hit some rain showers, but it felt mostly like mist. It was windy! I pulled my hair back into a ponytail and within 5 minutes in the air, I was sure my elastic band was going to fly away because my hair was whipping around so much. If you have long hair, tie it back tightly! I would have been so upset if my hair was flying around in front of my camera when I was trying to take pictures. Our pilot got to wear a hat, but passengers were not allowed to. All cameras & phones must have a strap attached. No handheld selfie sticks or Go-Pros. We only had a couple of days in Hawaii and didn’t end up getting to many other things besides a massage and relaxing by the pool. 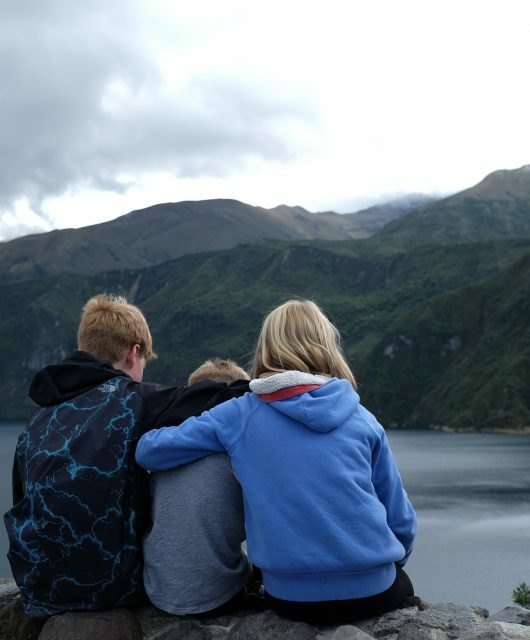 The good news is we are heading back next month with the kids! 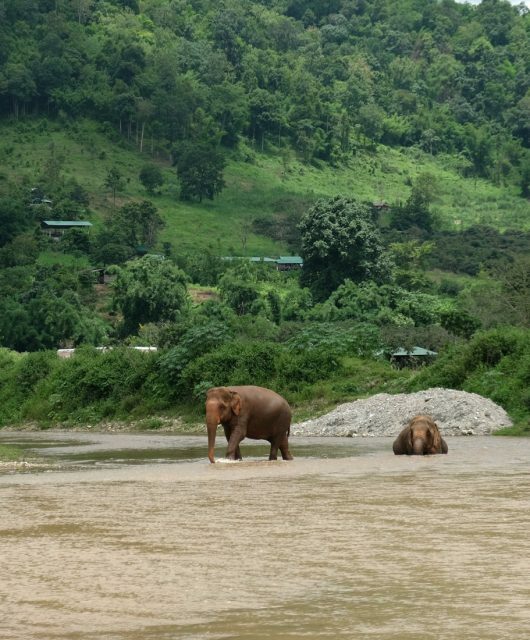 They were not pleased when they found out we’d done this tour without them so I am looking into other helicopter tour options when we return. While the open door helicopter is suitable for kids, I’m not sure I’d take mine yet, especially our 7-year-old. 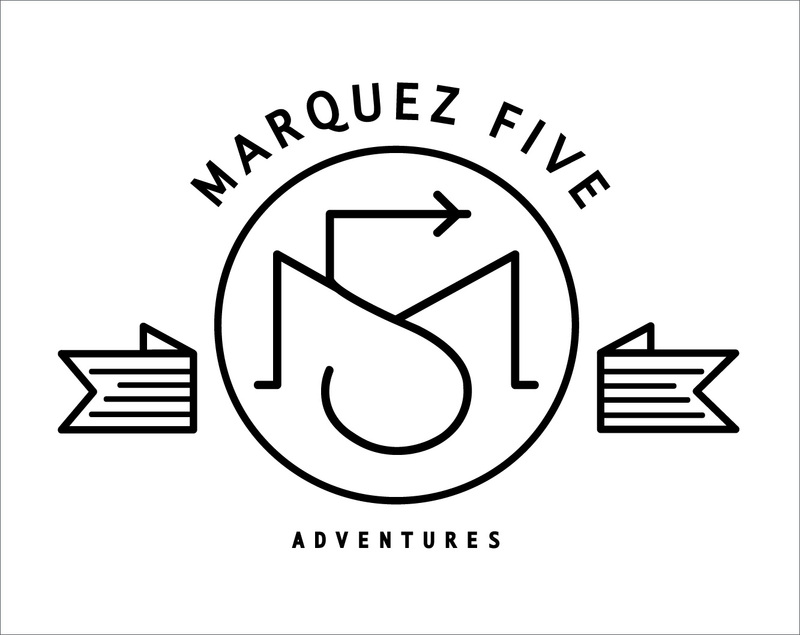 I think we’ll start with a doors on tour that incorporates either a stop at a private waterfall for a kayak and swim or a zip lining adventure. Here are some other things I’m thinking about when we return. Let me know what you would add in the comments below! 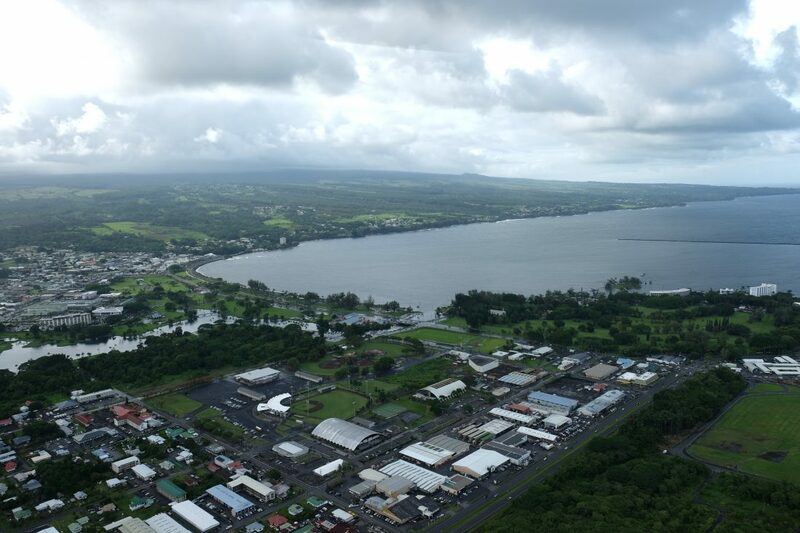 Volcano National Park – to see lava flow and steam, and visit the Jaggar Museum & Overlook to learn about earthquakes & volcanos and to see the bubbling lava in the crater. Maybe sign up for a tour to see the area by bike. 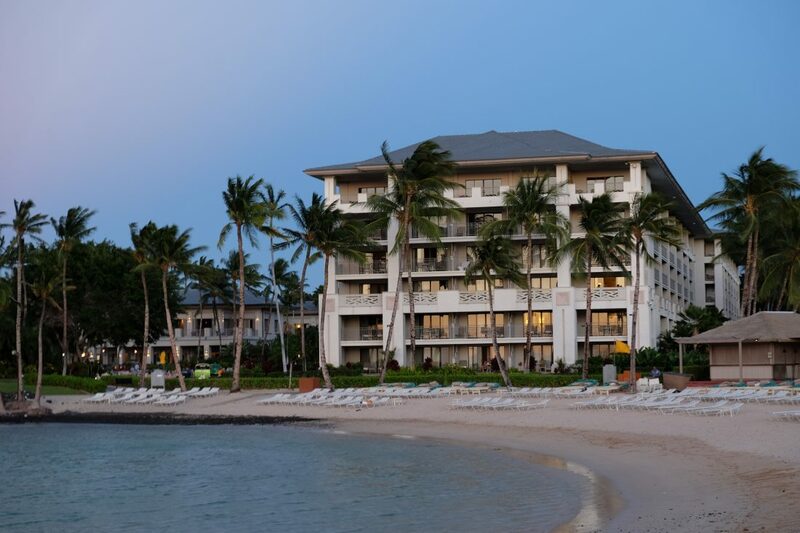 All three times I’ve been to the Big Island, I’ve stayed at the Fairmont Orchid on the Kohala Coast. When we return next month we are staying in a villa in the Pauoa Beach Neighborhood which is right next door to the Orchid and has use of this same beach which always seems to be this calm and is great for kids. The Orchid has a wonderful “Spa Without Walls”. 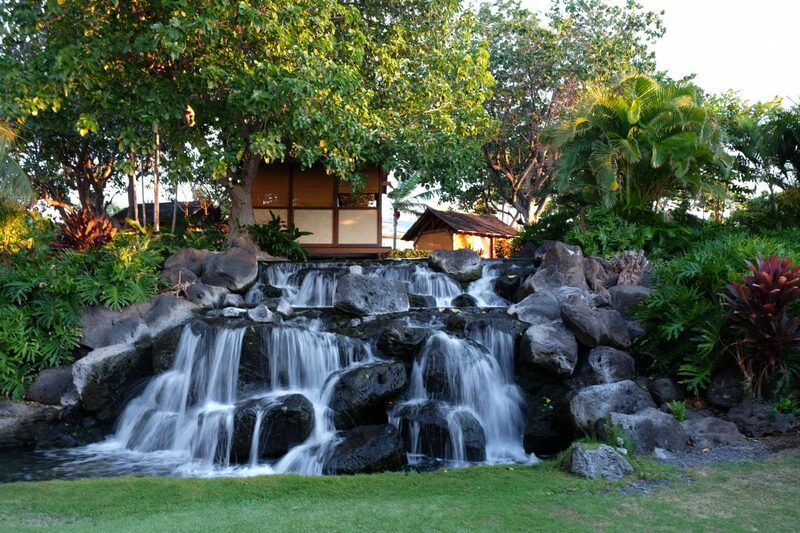 You can choose to have a massage in a hut by the waterfall (above) or by the ocean. 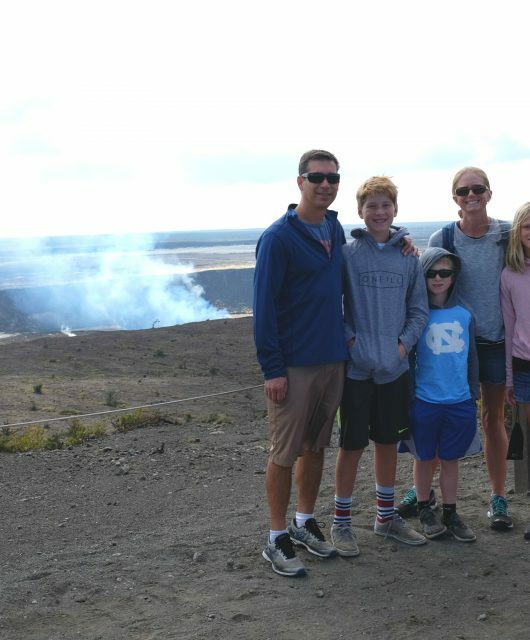 Check out some of our other Big Island adventures with kids: exploring Volcanoes National Park, our favorite snorkeling experiences and riding ATVs in Hawi. 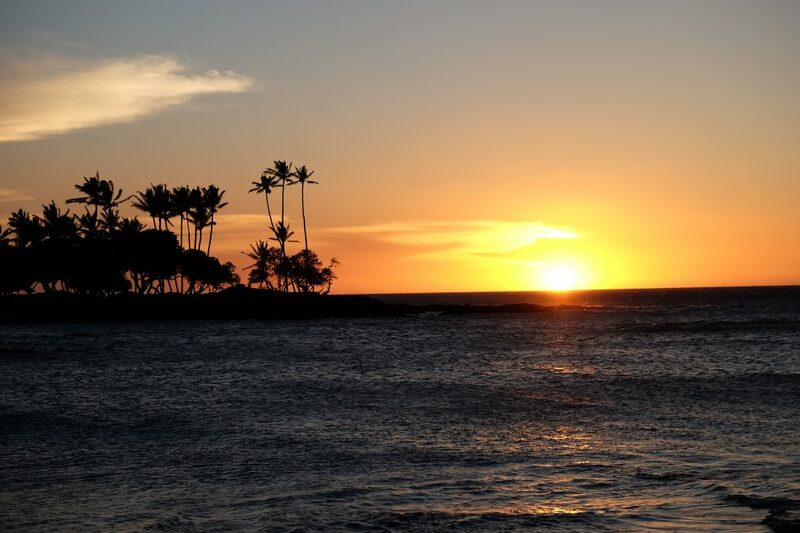 Here are our favorites on Kauai!